Unlike music lovers of yore, today’s college students no longer have to rely on friends’ mixtapes, word-of-mouth or the radio to find new music, local concerts and other ways of filling their need for music. 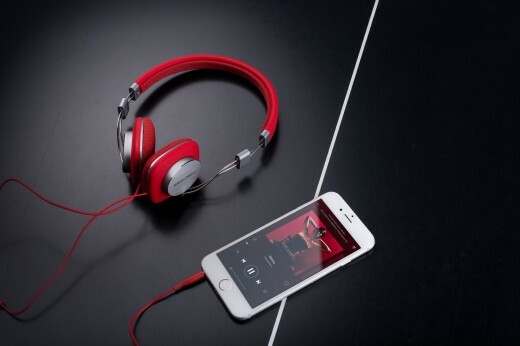 Instead of shelling out 99 cents a song, like when iTunes was in vogue, or, more often, illegally downloading, many users are turning to streaming services like Spotify, which offers a 50 percent student discount to college students. With the unveiling of Apple Music in June, it’s clear that subscription streaming services have won the lion’s share of music industry. Even as these streaming services have saturated the market and saddled students (and consumers) with the tyranny of choice, there are still more apps and websites being introduced to help you on your quest to musical nirvana. In order to help you sort through all the chaos and bad user interfaces, we profiled three non-streaming music applications that are worth checking out. 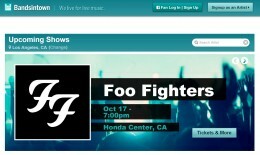 As an app and website, Bandsintown can help you track your favorite artists and let you know when they’re in town. If you load your music preferences from various music services including Spotify and Soundcloud, it will also suggest new local music shows that you may like. 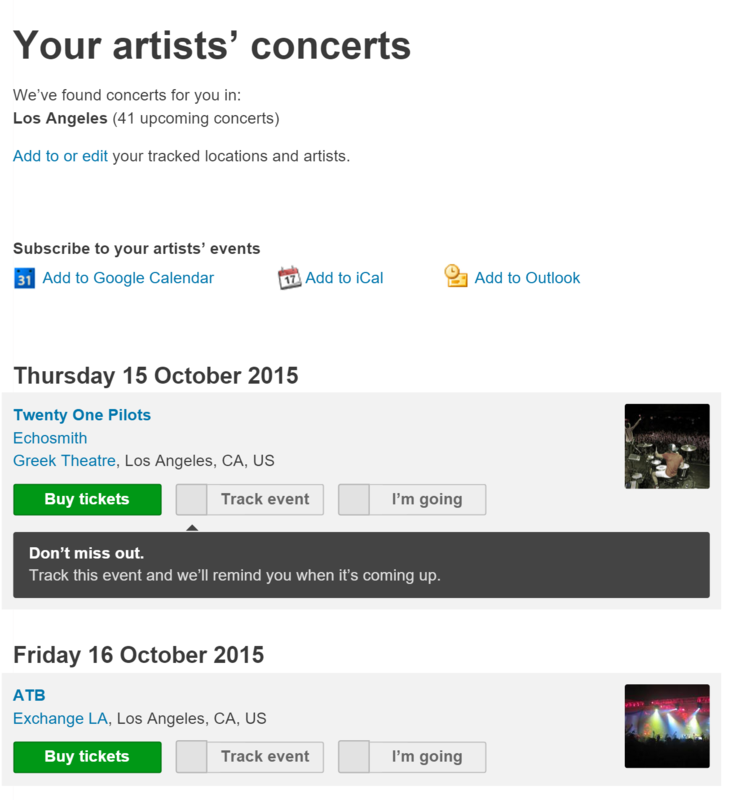 Although I primarily find out about the shows I’d like to see via the (optional) weekly email blast Bandsintown can send, their mobile app uses your location to suggest nearby shows, which came in handy when I was traveling in Europe this summer and located a Jacques Greene concert during my stay in Paris. 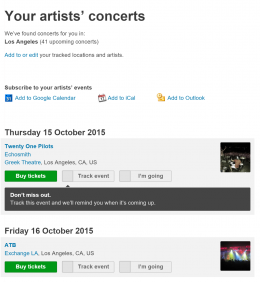 Although considered a concert-tracking app fairly similar in nature to Bandsintown, Songkick also offers in-app ticket purchases and an in-app calendar of all the shows. Their website is better supported than Bandsintown’s, which annoyingly redirects you to Facebook for authentication. Additionally, if you’re like me and would rather not share your music preferences with your friends, Songkick’s ability to sign up sans Facebook email makes it the perfect option for people who prefer to keep their listening habits discreet. 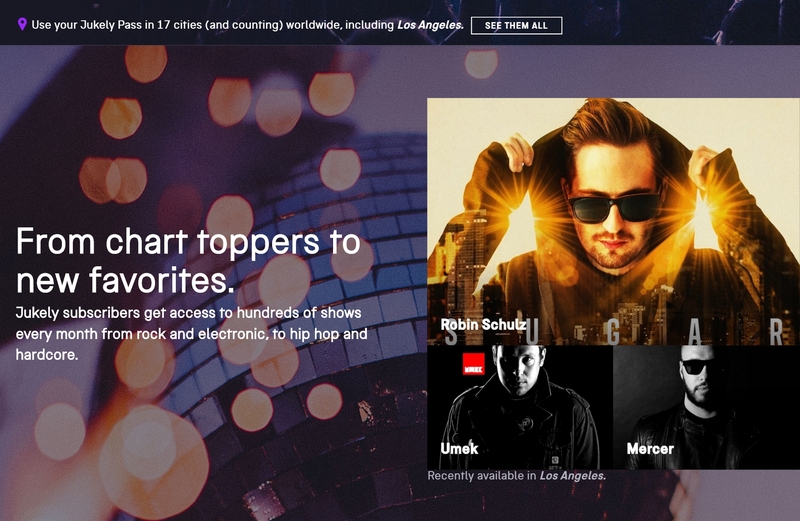 Though less of an app and more of a subscription service, Jukely, which recently began its pilot program in Los Angeles, is well worth the $25 a month it offers for unlimited concerts in various cities. If you’re the kind of person who goes to at least two shows a month, you’ll get your money’s worth by attending at least two Jukely-linked concerts or shows. Although most artists are local and probably new to you, big names can be found as well. Jukely stresses the importance of being open to listening to new artists, since the limited tickets for the larger names, such as, most recently Zedd and Disclosure, are obviously much sought after.